Last weekend YouTube blogging sensation Zoella treated her boyfriend Alfie (also a video blogger, or “vlogger”) to a romantic treehouse escape for his birthday at the stunning Chewton Glen Tree House suites. The vlogging power-couple posted a 36 minute video of their stay that has everyone aching for a cosy autumn weekend snuggled up in a treehouse hideout. It might be a bit late to make a booking at Chewton Glen for this weekend, but that doesn’t mean you can’t take inspiration from Zoella and Alfie and have your own bit of treehouse romance. One of the first things Zoe and Alfie discover in the Chewton Glen Tree House is the kitchenette, complete with all the ingredients for making real hot chocolate. Yes it’s a bit indulgent, but we’re yet to find something more capable of transforming a blustery day into the perfect excuse for hibernating than a shared mug of steaming, molten chocolate. 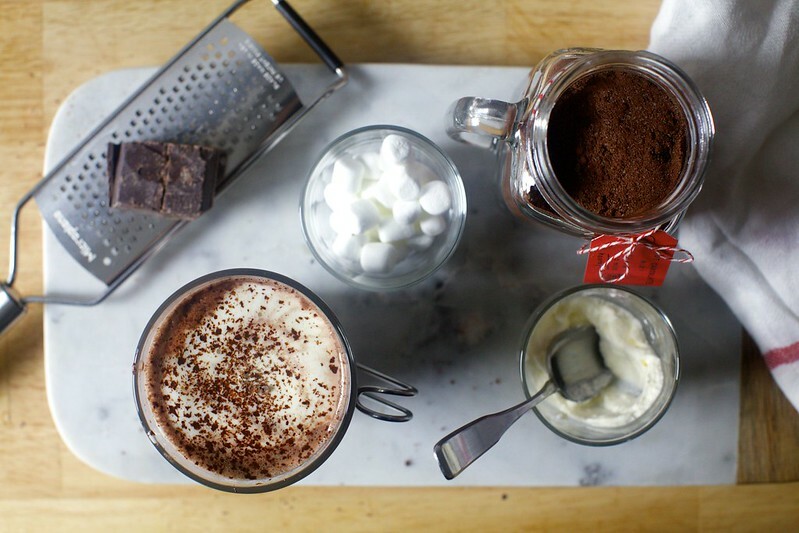 The Smitten Kitchen has this lovely recipe for make-ahead Decadent Hot Chocolate that promises to instantly drive away any autumn blues. After Zoella gives viewers a tour of the treehouse interior, the couple settle in front of the fireplace for a shared meal. Having a focal point like a fire is a great way of introducing a sense of calm and shared experience to a romantic evening. Fire especially has a way of reconnecting us with nature: its subdued light, the smokey smell of timer and the crackling of logs soothes the senses and brings us back to basics. If you don’t have a fireplace, you can still invoke some of its atmosphere by dimming the lights and creating a cosy focal point with candles. Add textures to soft seating with a knitted throw or faux fur rug and turn off any electronic distractions. For inspiration have a look at The Nest’s post on creating Netflix-worthy snuggle zones (though we think you’d be better off ditching the TV for a board game, audiobook or good, old-fashioned conversation). If during the week you are a wash-down-a-slice-of-toast-with-black-coffee or grab-a-smoothie-on-the-run sort of person, then a leisurely breakfast in bed is a little holiday in and of itself. Zoe and Alfie start the first morning of their tree house weekend with a truly luxurious continental spread – delivered through a charming trapdoor in the kitchen. If you prefer something a bit lighter, we love this stewed apple and granola breakfast by Deliciously Ella – just in time for apple picking season, too. The crisp air, turning leaves and long rays of autumn sunlight make it the perfect season for forest walks. If like Zoella and Alfie you are near the New Forest, use the New Forest route planner to find a walking train that suits your ability and interests (be sure to look at their foodie inspired walks!). Even for the city-bound, there are still great walking options. London’s Wetland Centre is spectacular in autumn and there is no better time to see Richmond Park‘s deer than through the early morning mist in autumn. Zoe and Alfie have a luxurious hot tub on their tree house balcony where they take a relaxing soak after their forest walk; and Zoe gets up early the next day to have some me-time in the tub and enjoy the autumn air. 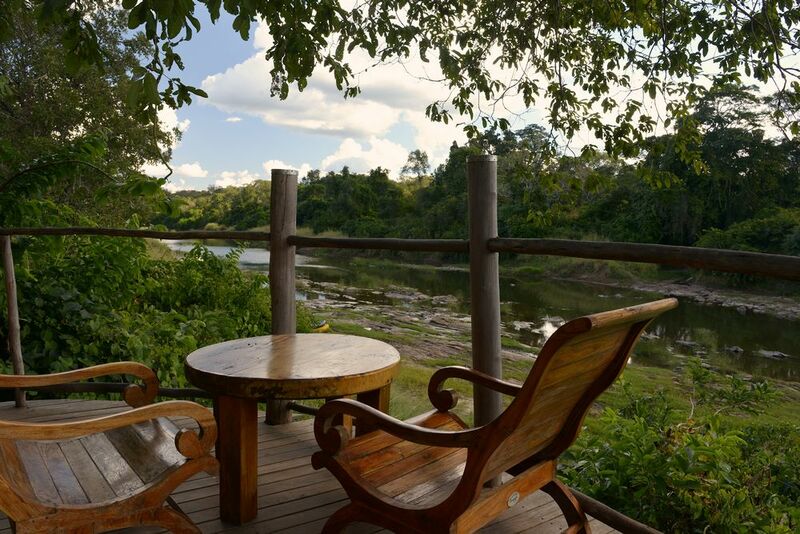 We think tree house getaways should be all about those moments – together or alone – spent simply unwinding. It’s why we put extra thought into creating cosy reading corners, private views and sprawling tree house balconies large enough to fit hot tubs. Recreate some of Zoe’s early morning hot-tub bliss with a bubble bath or if you’re feeling brave, a dip in your nearest heated lido. Should all this talk of tree house getaways have you yearning for the real thing, have a look at some of the other tree houses our Blue Forest team have built that you can stay in.